Take 42% off the entire book. Just enter code slnuckolls into the discount code box at checkout at manning.com. 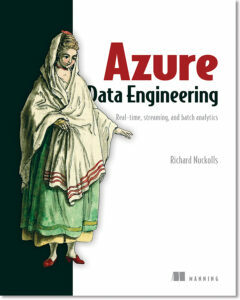 The Microsoft Azure cloud is an ideal platform for data-intensive applications. Designed for productivity, Azure provides pre-built services that make collection, storage, and analysis much easier to implement and manage. 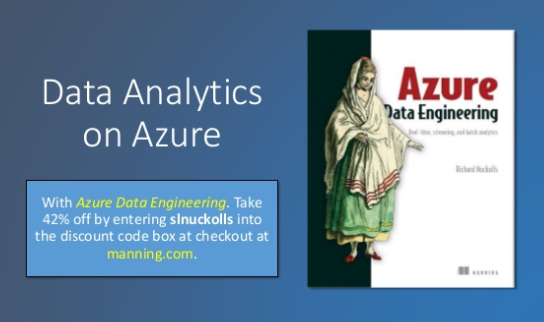 Azure Data Engineering teaches you how to design a reliable, performant, and cost-effective data infrastructure in Azure by progressively building a complete working analytics system.